The Department of Primary Industries and Regional Development identifies high quality agricultural land (HQAL) using a methodology that combines soil and water qualities valuable to agriculture and worthy of protection for future development. The HQAL methodology can assist state, regional and local planners to incorporate multiple layers of land capability information into land use planning. This report has been temporarily withdrawn. New groundwater quality and potential yield information has become available since publication and it paints a significantly different picture of potential groundwater resources in the south of the Geraldton planning region. The report will be updated to include this new information. This new data will significantly alter the map of potential irrigation resources (Figure 3.21), which in turn will alter the map showing irrigated agriculture potential (Figure 3.22) and Agricultural Land Area (ALA) boundaries (Figure 3.24). Information for individual ALA information sheets in Section 4 will also need to be altered, which in turn will affect the ALA rankings. Of particular significance, the Irwin Valley ALA will change because groundwater resources are now restricted by water quality, and deep drainage problems reduce irrigation potential. The HQAL methodology provides a reliable and valid way of identifying and documenting highly productive agricultural land based on land and water characteristics. It uses sound science and a clear and defensible process for integrating layers of information. The methodology uses existing data on soils, land capability, water resources and rainfall, and integrates this into a format that is easy to comprehend and incorporate into land planning. By using this methodology, we can generate a series of maps and tables – showing a region's potential for broadacre and irrigated agriculture – in a way that planners and investors can readily understand. The region's potential for more intensive agriculture can be used to justify higher priority land uses and protection for ALAs of high value in regional and local land-use plans. Planners can use this methodology at the local level to improve the use and protection of land and water resources required for agricultural development. The HQAL methodology was developed as part of a pilot project, at a regional and local scale, for the Geraldton planning region within the Mid West (Figure 1). The pilot project covered an area of 2.88 million hectares and included the shires of Northampton, Chapman Valley and Irwin, and the newly-formed City of Greater Geraldton. Fifty-seven per cent of the region was part of the agricultural district. 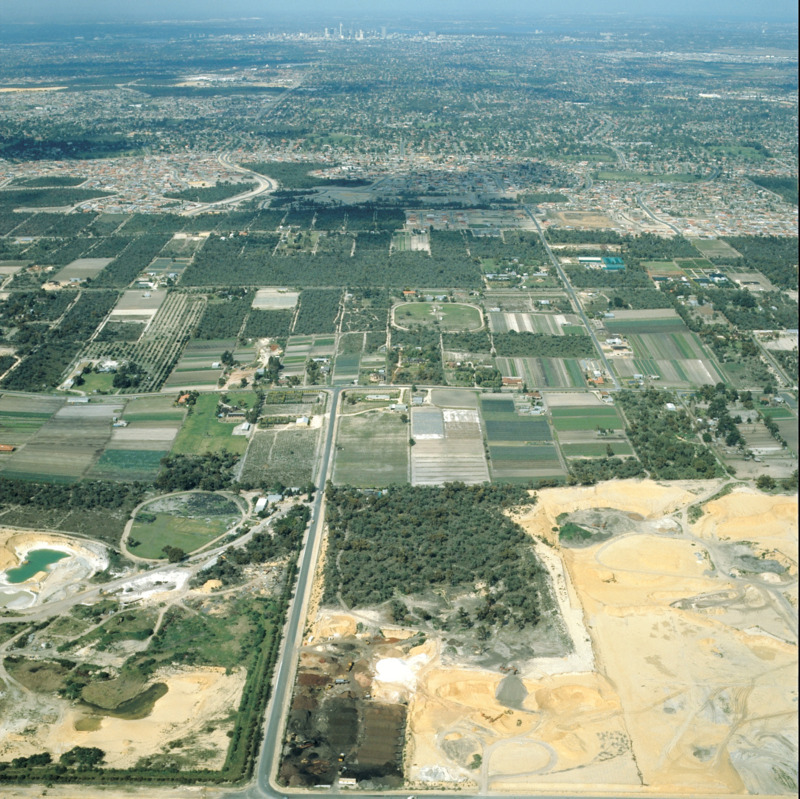 The remainder comprised pastoral leasehold (station country) or urban development. Agricultural activities occur on 49% of the land within the project area. This pilot project developed and tested a methodology to identify areas of high quality agricultural land at a regional and local planning scale within the region. The methodology uses land capability, water resource and other data related to land use in a format that is easy to comprehend and incorporate into a planning process. This approach can be used for other local government areas in the agricultural regions of Western Australia.